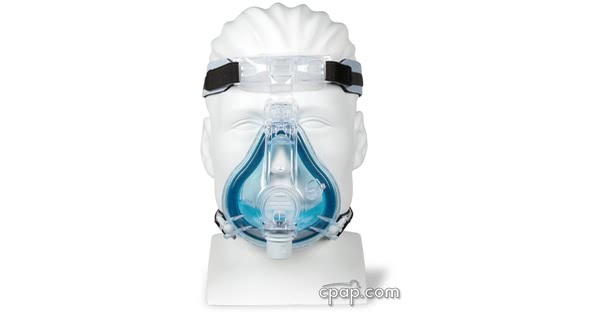 " With my allergies I often cannot breath through my nose and this mask has been very comfortable to use. " 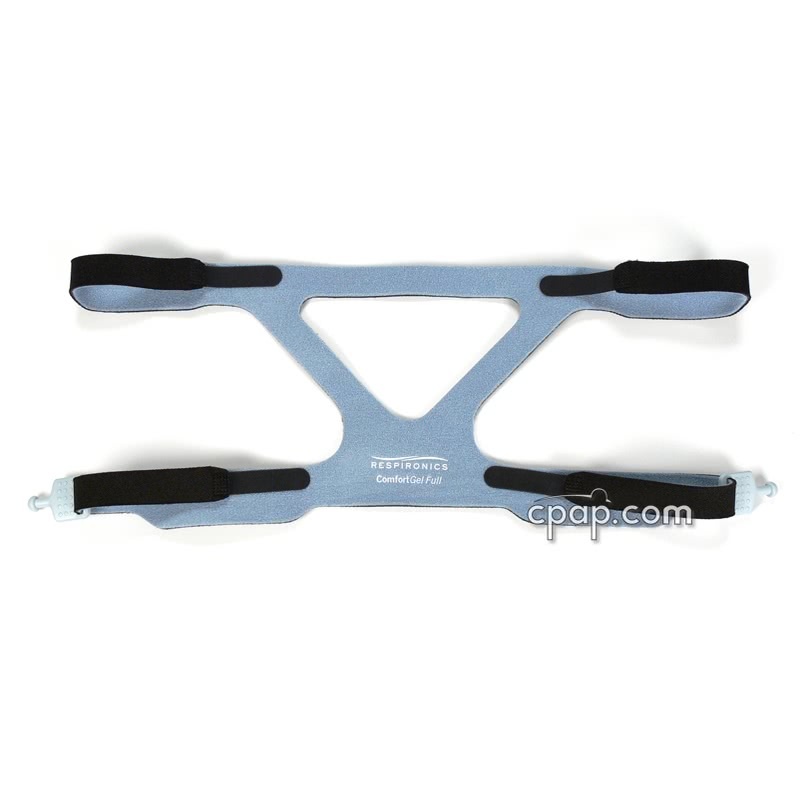 " It is comfortable, durable and very reasonably priced on CPAP.com!!!! The staff was great! I will be a repeat customer for sure! " Good news for users of the ComfortGel Full Face Mask! The Duo Pack includes two cushions and SST Flaps of the same size at a great price, meaning less frequent orders. 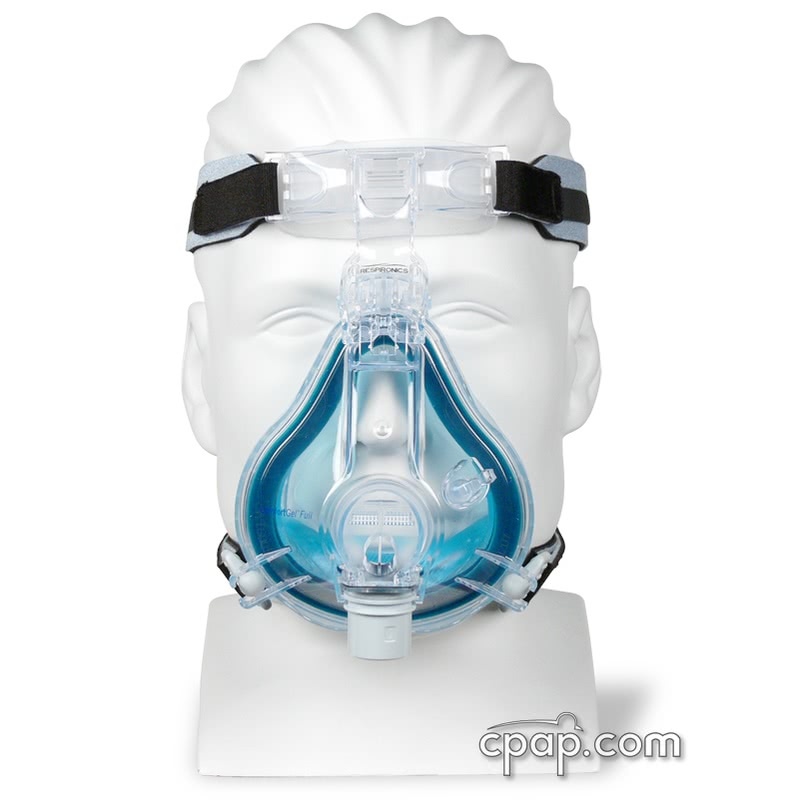 The popular Respironics ComfortGel Full Face Mask uses a gel filled cushion with the unique Sure Seal Technology (SST) flap that custom fits the face. Silicone Forehead Pad: The ComfortGel forehead pad is broad and provides an enhanced Stability Selector which allows for easy movement and adjustment. Gel Cushion: The cushion and silicone flap are replaceable allowing users to reuse their mask frame. The ComfortGel Full Face Duo Pack comes packaged with an extra cushion and SST Flap of the same size. The SST Flap is a separate silicone membrane that snaps on over the gel cushion to increase the life of the cushion while providing the unique Sure Seal Technology (SST), contouring a seal around the Gel Cushion. ComfortGel Full Face Mask Headgear: Designed specifically for the ComfortGel Full Face mask offering optimum adjustments and support. Ball-and-Socket Quick Clips: The clips allow easy removal and replacement of the mask without re-adjusting the straps making getting up during the night is easier. The ComfortGel Full gel cushion cannot be boiled and fit in the same way as the ComfortGel Nasal CPAP mask. If you have any problems with size or fitting, please call our toll free number 800-356-5221 for assistance from a CPAP expert. The ComfortGel frame is available in three different sizes. Each frame is labeled with a letter and a part number, designating the mask size. To find the letter on the mask frame, locate the elbow of the mask. Just below the elbow, the user will see a clear letter embossed into the mask frame, indicating the size. The larger black numbers listed below the embossed letter represent the part number, which directly corresponds to the product's size. To find the size of the gel cushion and the silicone flap, locate the bottom of the gel cushion, where the mask frame and full face cushion connect. The black letter printed on the bottom of the full face cushion designates the size of the full face cushion and silicone flap. If the user removes the gel cushion from the silicone flap, the size will not be identifiable. The size of the gel cushion is not recorded, yet it directly corresponds to the size written on the silicone flap. The ComfortGel Full Face mask comes packaged with the Headgear for the ComfortGel Full Face Mask. There are three (3) different Frame sizes for the ComfortGel Full. Only use the cushion/flap that fits onto your frame size. The cushion and SST Flap will not fit onto a frame of a different size. How can I compare different masks? Like our machine comparison chart, we have created a CPAP Mask Comparison Guide to help you compare different masks. This guide stacks up every mask we sell, feature by feature. If you don't know the meaning of a feature, click the question mark for a definition. The links below will take you to the most popular masks, or to the different types of masks we sell. Are mask cushions interchangeable with other mask frames or can I use a different size cushion on the same frame? The answer to this question depends on the mask. In most cases, the mask frame will only accept cushions or pillows made for that specific mask. 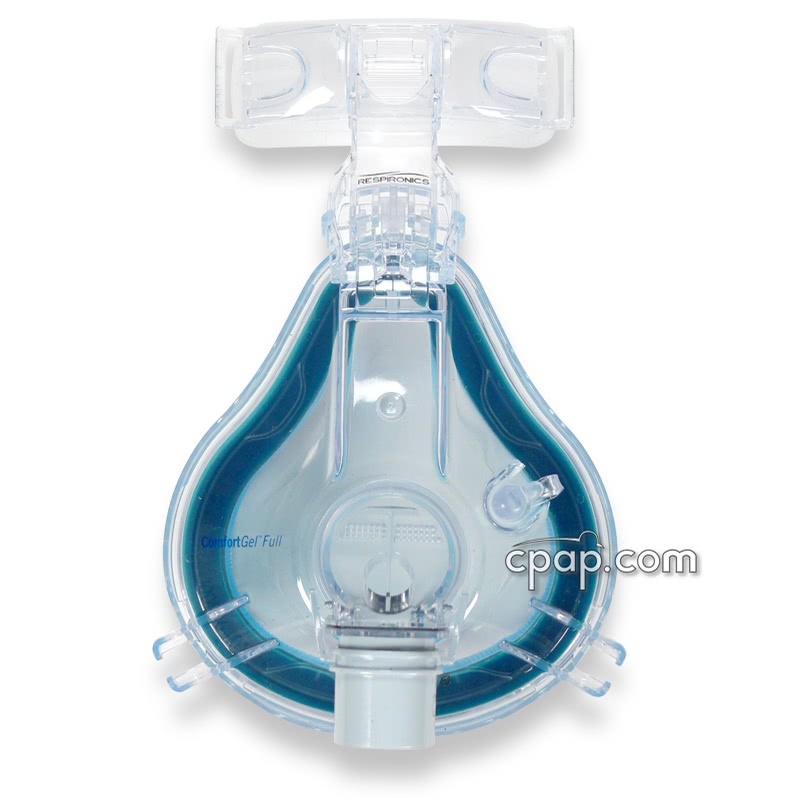 However, there are a few variations to this rule: ResMed's Mirage SoftGel Nasal CPAP Mask and Mirage Activa LT Nasal CPAP Mask are examples of the exception. In this case, both masks use the same mask frame; therefore, the cushions for the two masks are interchangeable. The EasyFit Masks by DeVilbiss offer different cushion types such as gel or silicone, which are interchangeable between the mask frames. As to whether or not you can use different size cushions for a specific mask on the same mask frame, this also depends on the mask. Some mask frames are compatible with multiple cushion or pillow sizes, while other mask frames only fit cushions of the same size. This information is provided on the product pages. Please review the page of the specific product you are interested in to learn if you will need a different size mask frame for each size of cushion or pillow. For assistance, contact us at 800.356.5221.